As a local show, which only started last year, our friends are very important to us. All of you who ‘Like’ a Kinder Living Facebook post, share a tweet or tell a friend about us are helping in our journey – thank you so much! We have two local companies who are going ‘above and beyond’ in their efforts to support us. Our very grateful thanks go to Julie Maxted and all at Horsham Publications for sponsoring the show for a second year! Horsham Publications put out some great local magazines and provide an amazing service for local businesses and the local community. We would also like to thank Paul Lamberty of Boonwag, our website sponsor. Last year’s ‘homemade’ site served its purpose, but we knew we needed something more professional. We’re delighted with the look and feel of the new site and hope you love it too. Horsham Publications Ltd is a local micro-publishing business for local community magazine and business directories, Holbrook Pages, Horsham Pages and Southwater Life. With a distribution of over 26,000 in Horsham and Southwater delivering to all homes door to door, Horsham Pages is now being distributed to Broadbridge Heath and Wickhurst Green too. These free community and business magazines are in a handy A5 size providing affordable, local full colour advertising for all types of businesses. Feedback shows that residents keep the magazines as a handy reference until the next one arrives, giving a long life span to the advertising. All the magazines continue to flourish and are well thought of in the local community. Horsham Publications also offers a leafleting service whereby company leaflets are distributed at the same time as the magazines. This is a popular marketing tool and companies are obtaining good results from this avenue. All the team, from the editor down to the youngest distributor, all live and work in Horsham and Southwater which places them near the heartbeat of this amazing town. 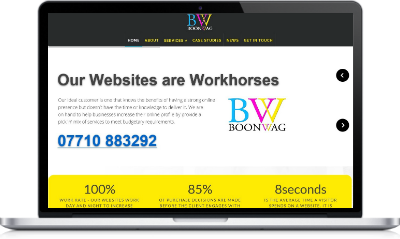 Boonwag is a digital marketing and website design company based in Horsham, West Sussex. We believe that a website should be more than just a shop window. A website should provide a return of investment not just look pretty. We work closely with our clients understanding their needs delivering solutions that encourage engagement and interaction. Visit our website to find out more about our online services.